Successful learning requires proper nutrition to get through the day. 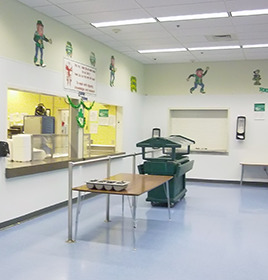 We provide wholesome meals for students in the district and meet the nutritional guidelines set forth by the USDA and other federal programs. We offer breakfast and lunch to every student at St. Stephens Indian School at no cost.